What terrors lurk in the shadows of a library? What scary thoughts creep through your mind when the stacks are quiet? What spooky creatures skulk in the edges of your vision? Submit your scary story for the second annual Knight Terror Library writing contest by 11:59 pm on October 22, 2018 to see if you cause the best fright. Winners be announced on October 31, and be immortalized in STARS KnightVerse. First place wins a special UCF Libraries prize pack. Second place wins a Library Construction duck. Open to all UCF students, faculty, and staff. It’s easy! Just track the number of pages for each unique book read using our form linked below (available beginning Friday, June 1). For e-books and audiobooks, simply verify the number of pages in the actual book using Amazon or another source. Reach the goal of reading 500 pages and win a prize pack! All participants will be entered into weekly drawings for gift cards to BurgerFi, Jeremiah’s Italian Ice, Metro Diner, and Smoothie King. The top three people who read the most pages overall will win grand prizes. Enter your books on this form. Sonnets – Submissions due by April 8, 2018 at 11:59 pm. An Erasure Poetry table will be set up between the Circulation Desk and Reference Desk from April 2 – 6. Staff favorites will be displayed on the windows by the entrance and on library social media accounts. 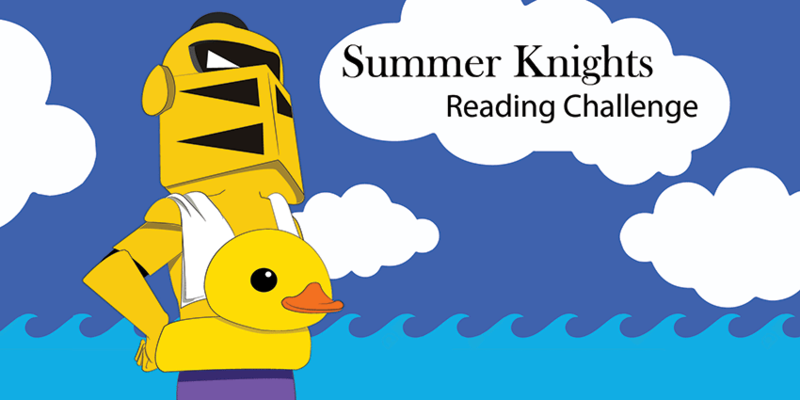 Summer Knights Reading Challenge – Win Prizes!! The Summer Knights Reading Challenge runs from June 1 to August 1, 2017 and is open to all UCF students, faculty, and staff. Read 500 pages and win a prize pack* We will keep track of the number of pages you’ve read. Once you reach 500 pages we will contact you to claim your prize pack. Prizes may be picked up at any UCF Library location.